There’s nothing better than that new car feeling, and with the comprehensive range of car finance and insurance solutions offered by Toyota Finance and Insurance, you’ll be driving your new car out of Gilgandra Toyota quicker than you ever thought possible. 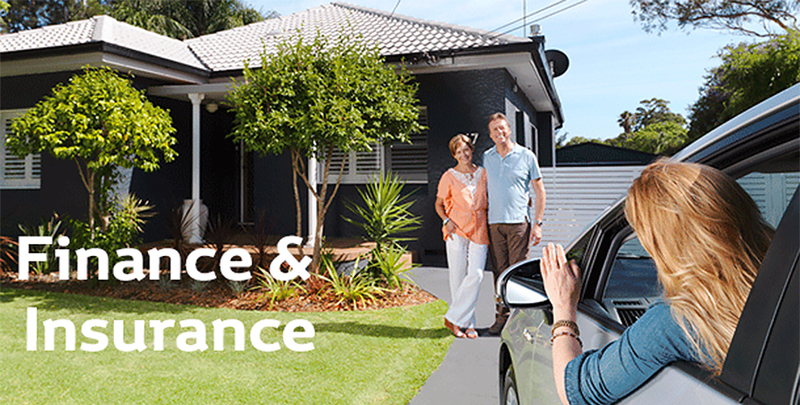 Gilgandra Toyota has partnered with Toyota Finance and Insurance to provide a range of flexible products and services to suit almost every need and circumstance. So in addition to dealing with an experienced and accredited dealership at Gilgandra Toyota when you buy your next new or used Toyota, you can also enjoy the peace of mind knowing that you have access to finance and insurance from one of Australia's most experienced vehicle finance providers with over 30 years in operation. At Gilgandra Toyota our number one priority is customer satisfaction, and Toyota Finance and Insurance shares the same philosophy. And rest assured, the same expertise that goes into every Toyota vehicle is also behind the solutions offered by Toyota Finance and Insurance. Let us guide you through a variety of vehicle loan and insurance options to fit around your lifestyle and specific needs. So whether you’re buying a new car, upgrading your existing vehicle or adding a Toyota to your fleet, Toyota Finance and Insurance has the options to get you on the road much sooner than you thought possible. Want that new car feeling? Let’s make it happen at Gilgandra Toyota. Drive out of the dealership sooner with a Consumer Fixed Rate Car Loan from Toyota Finance that offers flexible options tailored to suit your needs. With a Consumer Fixed Rate Car Loan, you have the flexibility to choose your deposit amount. You’ll then have the security of a fixed interest rate for the term of your loan and the freedom to choose the length of your term, ranging from 1–7 years. Budgeting is made easy with flexible payment options that let you incorporate extra costs, such as on-roads, insurance and Toyota Extra Care Roadside Assistance, into the amount financed. You’ll also enjoy the confidence of always knowing exactly how much you have to pay each month. Talk to Gilgandra Toyota about a Consumer Fixed Rate Car Loan from Toyota Finance today. A novated lease is a finance arrangement used with salary packaging, where your employer pays for your car finance and running costs directly from your pre- and post-tax salary. It’s a tax-effective way to get into the car you want, today. A novated lease with Toyota Fleet Management (TFM) is one of the most convenient, simple and cost-effective ways to drive the car you want. How do I set up a novated lease? Start by choosing the Toyota you want and making sure your employer is on board (we can help with this). Then decide on a term that suits you - anywhere from 12 to 60 months is a typical arrangement. A three-way novated lease agreement is set up between TFM, you and your employer. Your employer will take care of the payments through salary deductions, while you enjoy the benefits. Talk to Gilgandra Toyota about Novated Leasing from Toyota Fleet Management today. With a Business Vehicle Loan you’ll have the security of knowing the vehicle is an asset of your business, even while you are paying it off. It is a convenient way for GST registered businesses to finance a vehicle that is used predominantly for business purposes. You’ll have opportunities for income tax deductions through depreciation and interest charges, plus the added security of knowing the vehicle is an asset of your business, even while you’re paying it off. With a fixed interest rate over the finance term, plus the ability to make additional payments that reduce the total interest payable, your monthly costs will be in your hands. Talk to Gilgandra Toyota about a Business Vehicle Loan from Toyota Finance today. With so many providers offering complicated policies, insurance can be a foggy issue. But now the choice is clear. Toyota Insurance is designed for your Toyota by the people who know it best. It just makes sense. And you know you can count on the quality and value you’ve come to expect as a Toyota owner. Talk to Gilgandra Toyota today about Toyota Insurance. If anything happens to your Toyota you’ll want to know you’re in safe hands. But with Motor Vehicle Insurance from Toyota Insurance you will be back on the road in no time. Plus, you’ll get the reassurance that repairs will be done using Toyota Genuine Parts made specifically to fit your Toyota. For a little extra, you can add optional benefits like Excess-free Glass Cover, or access to a rental car if your vehicle is accidentally damaged. And if you’d like to reduce your premium you can choose a Voluntary Excess. There are flexible payment options so that you can pay your premium however you like – monthly for extra cash flow or annually to save on your premium. And if your vehicle is financed through Toyota Finance, you can have your insurance included in the total amount. Need more information talk to Gilgandra Toyota today. To find out more, download the Finance Protection Insurance Product Disclosure Statement (PDS) here and the Financial Services Guide (FSG) here. If you’ve financed your vehicle and it’s written off as a result of an accident or theft, Finance Gap Insurance from Toyota Insurance can help. It can cover your outstanding loan balance, depending on the level of cover you choose. Finance Gap Insurance provides up to $30,000 for the gap between the amount your comprehensive insurer pays you and the amount you owe your financier. It also provides up to $4,000 for extra costs and up to $750 for establishment fees when your replacement vehicle is financed with Toyota Finance. A one-off premium covers you for the duration of your finance contract. You can only purchase your cover at the time you are purchasing your vehicle. To be eligible for cover you must have a finance contract on your vehicle, and it must be covered by a comprehensive motor vehicle insurance policy. A simple, one-off payment can be included in the total amount being financed with Toyota Finance. There is no yearly premium, this one-off payment provides you with Finance Gap Insurance cover for the life of your vehicle’s finance contract. To arrange cover, simply talk to Gilgandra Toyota when you purchase your Toyota. At Gilgandra Toyota we’re committed to providing you with the highest levels of service and extra care, to ensure you have many years of enjoyable motoring. And you know that when you purchase Toyota Extra Care Road Side Assistance, you’ll be in good hands because, after all, nobody knows your Toyota better than we do. For more information talk to Gilgandra Toyota today. Toyota Extra Care is administered by Toyota Finance, a division of Toyota Finance Australia Limited ABN 48 002 435 181, AFSL and Australian Credit Licence 392536 and is fulfilled by AWP Australia Pty Ltd ABN 52 097 227 177 trading as Allianz Global Assistance, under an arrangement with Toyota Finance Australia Limited.